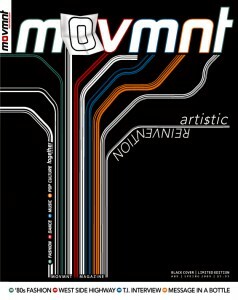 Movmnt | What do you want to be when you grow up? Whenever I pondered that question as a youngster, I always had a clear vision of what I wanted to do: to make a contribution to the media world. At a very early age I knew my passion for communication would remain a constant in my life. Journalism knocked at my door when I was eleven and never really left. During my recent travels around the country, I asked quite a few teens what they want to be when they grow up. The frequency of the word famous was startling. What happened to wanting to be an actor, or an astronaut, or a fireman? Yesterday’s kids dreamed of becoming heroes. Today they just want to be famous. I always wanted to be on TV but only in pursuit of my work. Fame, however, has become accessible to anyone, from anywhere, and, unfortunately, for anything. Even worse: sometimes for nothing. Our culture’s obsession with famous people has mutated into an obsession with fame itself. Today’s overexposed mediocrities have finessed an odd combination of exhibitionism and vulnerability into a career. We yearn for a movement where talent and dedication take precedence over a thirst for stardom. To be as respected as Rolling Stone, or as recognized as Time, are the results of great achievement. But like fame, they are not goals in and of themselves. I totally agree, our world is becoming obsessed with facets of the whole picture,and subsequently missing the whole design. Our obsession with the singular entity of fame causes us to forget the means in which they became famous. Our disconnect with the end and the means causes a gap that apparently few are willing to bridge. I applaud you for building a pop culture magazine that focuses on the culture , as opposed to the slander.